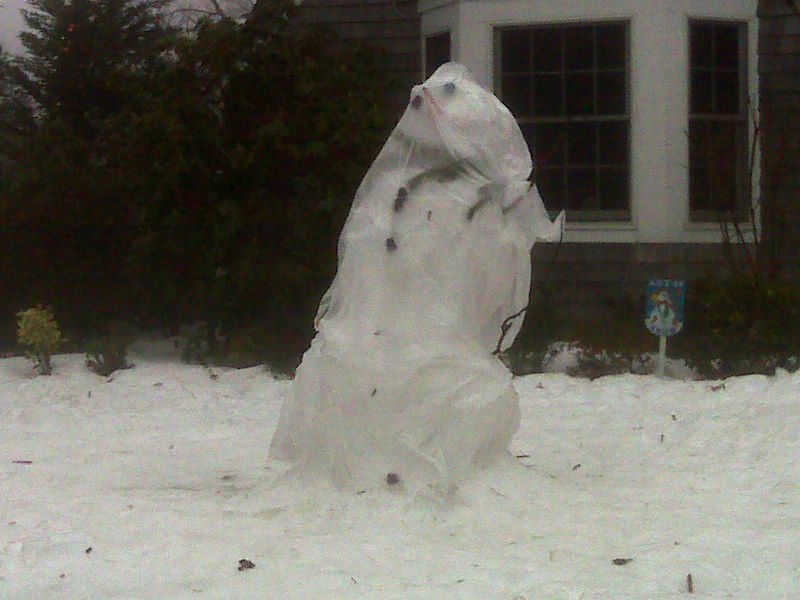 Just when you thought it was safe to be a living, breathing snowman in my neighborhood… Snowman Condom2. Last month the small one was featured here on i could cry and here she is again, with a friend… double protection if you will. 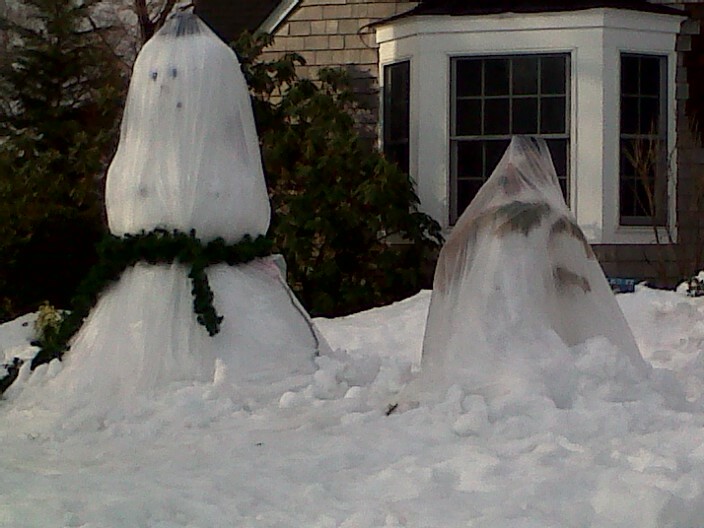 This family has to be the most committed to snowman preservation in the entire zip code; maybe even the state! I ran into the dad the other day after the big ice storm had coated the new big guy with a nice solid glaze. He seemed so happy in his confidence that it would take forever for this one to melt, while the little one was actually doing some modified version of the camel pose (that was for you yogamom) but still going strong. When I woke this morning to the sound of rain against the window in my now virtually gutterless house, I had more than a pang of anxiety about the fate of those snowmen. Sure enough when I went for my walk, there they were in all their condomized glory. And the big guy had that fabulous belt, to boot. I can never give up this morning walk. Screw the heart-healthy benefit, there is way to much blog fodder to miss. I saw this hermetically sealed snowman on my morning walk. As I was passing by I ran into a neighbor of mine who said he thought it looked like a snowman condom. What a perfect description! I can only imagine the meltdown in that house that would prompt a parent to wrap an entire snowman in plastic. I assume the rain forecast put some poor young child into some sort of snowman frenzy. Do you think they had that plastic sheeting in the house or did they make a special trip go buy it?